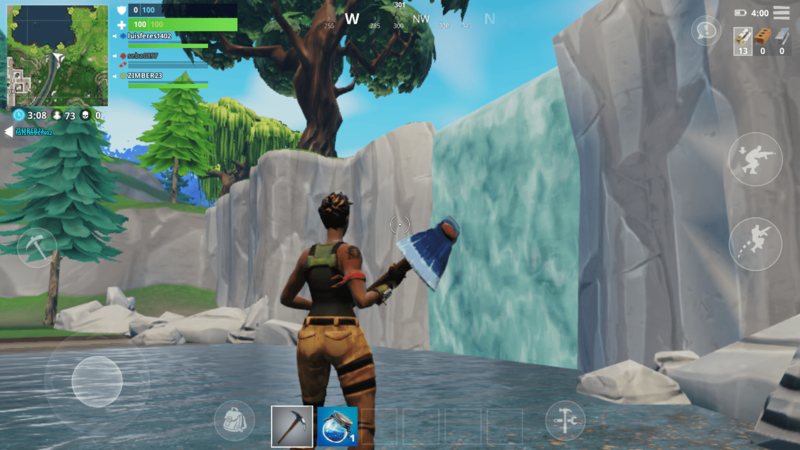 In Fortnite, players are forced to scavenge for materials and helpful items as their characters in order to survive and win the game. Screenshot by L.Cowan/Setonian. An online game called Fortnite has captured national attention from all corners of the globe. The game itself was created by Epic Games and their team of developers. The game was released on July 25, 2017, and has spread like wildfire ever since. It has gained such a following that most social media users can’t scroll through their feed without seeing an advertisement or comment about the game on their feed. Some people are even making a living from engaging in this multiplayer universe. 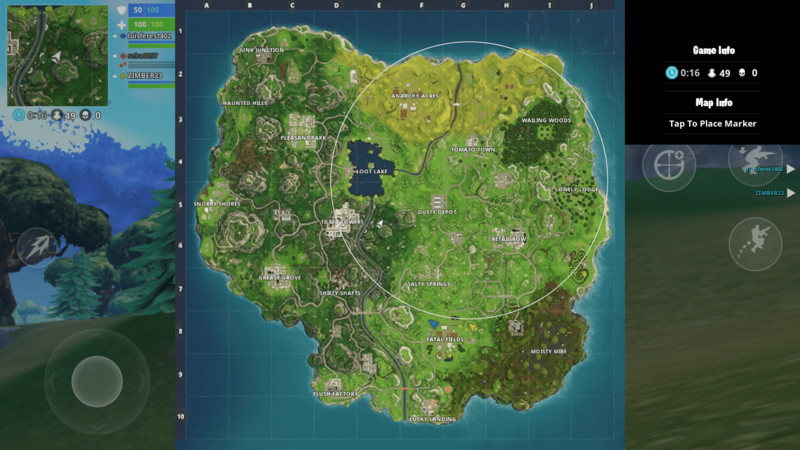 Shown above is the map that is provided during each gameplay of Fortnite. Screenshot by L.Cowan/Setonian. One of the biggest determining factors for the success of this game is its accessibility to the gaming community. PlayStation 4, Xbox One and PC gaming are extremely popular systems in the gaming community, which Epic Games has taken advantage of by allowing Fortnite to be played on all three. Epic Games has played to their audience perfectly by programming Fortnite to work across all three of these platforms. They have even ventured into mobile gaming, creating a playable version for “on the go” use on Apple products. Another reason why this game has been such a huge success is the fact that the online versions are free across the Xbox One, PlayStation 4 and phone platforms. Creating a game that works across all gaming platforms as well as being free to download was a huge risk. Epic Games rolled the dice, and it payed off tremendously for them. 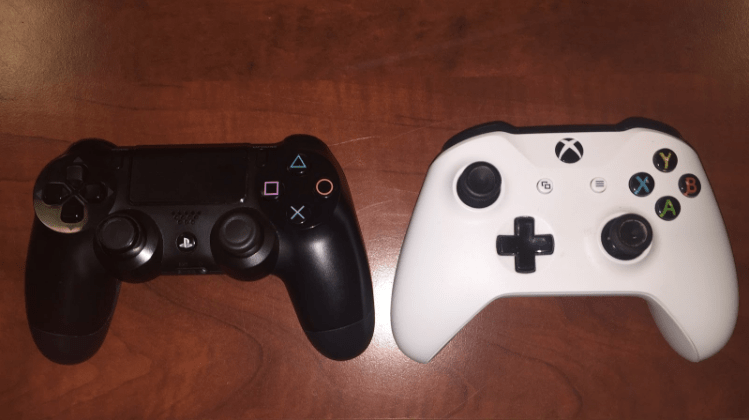 Above (left) is a PlayStation 4 controller and (right) an Xbox One controller, two of the ways gamers play Fortnite. The game is also available on PC and can be downloaded for mobile play on Apple products. Photo by T.Sekunda/Setonian. The video game has received national attention due to public figures documenting their play on social media. World renowned rapper Drake was recently featured on YouTube’s Ninja Gaming Channel playing with Tyler Blemmins, also known as “Ninja,” and rapper Travis Scott. The livestream of this Fortnite gaming session blew previous streaming records out of the water, propelling the game to a new status. Something that the gaming community can agree on is that video games bring people who are separated back together. The most popular aspect of the game is multiplayer. Something that little to no other video games have ever done is allow players with different systems to play the game with each other, excluding the connection between PlayStation 4 to Xbox One. 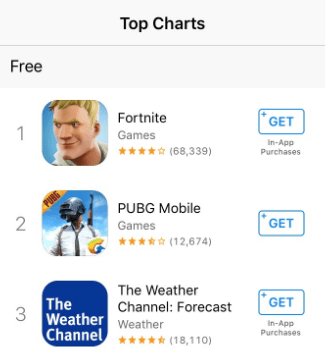 On March 25, the Fortnite mobile app game reached the No. 1 spot on the Apple App Store leaderboards. Screenshot by T.Sekunda/Setonian. “Going away from home was tough for me because I left behind a lot of my close friends,” said freshman SHU student Cory Storm. “Fortnite is something that has helped me reconnect with the people that I’ve had to leave behind. It makes it easy to catch up and have fun with others, even though you can’t necessarily be together.” This aspect of Fortnite has brought friends closer together more than ever before. “Think of it as a video game version of the movie ‘The Hunger Games,’” said SHU senior Terell Duck. Depending on the game mode you choose, the game is a single player shooter. If you choose to forgo building a team of friends to fight other teams, the responsibility of surviving a 100 person free for all falls fully on your shoulders. Every match, the game starts the same way: players skydive into a map filled with hidden “loot” that consists of weapons and shields alike. The object of the game is to be the last person standing, eliminating all other players until there are no others left (much like “The Hunger Games”). As time goes on, it will be interesting to see if this young game will continue the success it has already had. Epic Games have certainly done all they can to set themselves up for a favorable financial outcome. With the support of young and old gamers everywhere, what records will Epic Games’ Fortnite break next? We’ll have to keep playing to find out.